In a Nutshell: Moneydance was among the first competitors to the biggest names in personal finance software, providing tools for complete financial management while maintaining a focus on privacy and the user experience. The software boasts a robust set of features, including online banking, bill payment, account management, and investment tracking. While many personal finance applications utilize a third party to interface with banks, the Moneydance software interacts directly with financial institutions to ensure vital information remains with the customer. And, with its multicurrency mechanism, Moneydance is particularly useful for customers dealing with multiple foreign accounts or cryptocurrency. If elementary students in the year 2097 were to open a time capsule to learn what life had been like a century before, they would likely find an AOL CD-ROM sitting atop the capsule’s contents. The number of households with home computers increased from 15% to 35% between 1990 and 1997. And, in the mid-to-late ‘90s, home computing software — often installed via CD-ROM — was seemingly everywhere. Personal finance software was as ubiquitous as the software that helped users get online for the first time, often coming in a software bundle accompanying new computers. Consumers were able to manage their finances with powerful tools that had previously been available only to financial professionals. Sean Reilly is the Founder of Moneydance and its parent company, The Infinite Kind. Sean Reilly, Founder of Moneydance and its parent development company The Infinite Kind, recognized the benefits of personal finance programs that rivaled the functionality of those of the big-name developers — but saw an opportunity to provide software with a stronger focus on privacy and the user experience. Reilly set to work on Moneydance and released the first version of the software in 1998. Over the years, Moneydance has kept up with and sometimes surpassed the big names in personal finance software, while never straying from Reilly’s initial focus on accessibility and privacy. Reilly said that when he first launched Moneydance, the software was essentially a basic register of checking and credit card accounts, but it quickly expanded to encompass more functionality and has been steadily growing ever since. One of the primary features of today’s Moneydance is online banking — a service that didn’t exist in the software’s early days. Moneydance includes features of big-name personal finance programs but with a greater focus on privacy. Users can also access a convenient overview of their finances for multiple accounts that includes account balances, upcoming transactions, reminders, and exchange rate information. 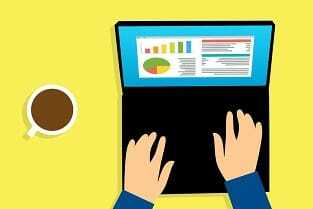 Selecting a specific account will take the user to the account registry where he or she can manually enter transactions or reconcile the account against a statement. Reilly said Moneydance can also provide online bill payment functionality for the banks that support the software. And the program includes a budgeting system that Reilly said employs the best features of various budgeting mechanisms on the market. Additionally, users can access robust investment support. 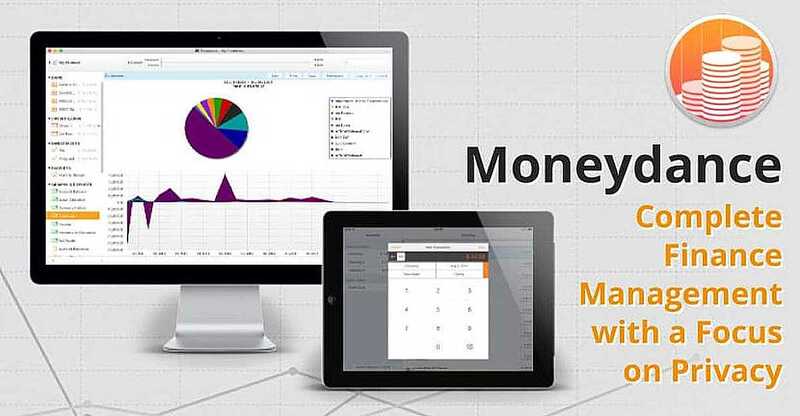 Moneydance provides a number of visual tools to help consumers explore their finances in various ways. A graphing tool allows users to set the graph type, date range, and other specific settings for the data being presented. Pop-up balloons display details about the information as the user hovers over it. The graphs may also be saved as PNG files or printed. The Moneydance software is also available as iOS and Android mobile apps. 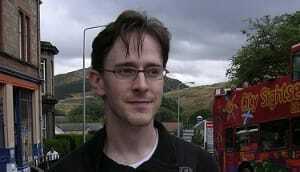 Reilly developed Moneydance using open-source software and operating systems, including Linux and Free BSD, with the goal of making his new software available to users of any platform. He said he didn’t want people to feel like they were tied to any particular platform just because their software was. Moneydance is available as a mobile app for iOS and Android. Moneydance is dedicated to facilitating a direct connection between customers and banks so customers never lose control of their financial info, he said. In fact, Moneydance never even sees the customer’s data. The software talks directly to the banks on behalf of the customer. “We just want to provide consumers with the software and make sure people trust us that we are not sharing their information in any way with any third parties,” Reilly said. However, that doesn’t mean that customers can’t share their information with family members or colleagues. Moneydance uses a syncing mechanism via Dropbox that allows fully encrypted, multi-way access to data among multiple devices and users, he said. 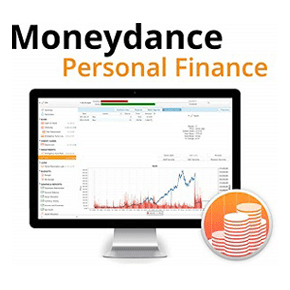 Moneydance’s rich multicurrency functionality helps to set it apart from some of the software’s competitors in personal finance management. Today, more than ever, we are living in a truly global marketplace where more goods and services are available across borders than in years past. And with multiple digital payment platforms, access to online shops in other countries, and foreign exchanges, the average consumer can easily encounter multiple currencies. With a robust multicurrency functionality, Moneydance is well-suited for users with foreign accounts or cryptocurrency holdings. He said users can create a currency category as well. “This function works out great now because you can create a currency for Bitcoin or Ethereum, or any of the digital cryptocurrencies, and it just automatically works in Moneydance because it recognizes any kind of currency,” he said. These decentralized digital currencies are relatively new to the finance world so there are not as many established avenues to track them the way finance programs are set up to track fiat money. The multicurrency mechanism is also valuable for consumers who hold foreign accounts or investments in different countries. The software automatically converts value using the latest exchange rates. “We have some really useful features for people doing investment tricks and more advanced behavior, like those users who are investing across multiple different currencies with stocks and quotes, and different exchanges around the world — things like that,” he said. Twenty years after launching Moneydance, Reilly remains passionate about maintaining privacy and keeping the consumer in control of his or her finances. But as a developer, he is always looking at ways to expand and improve Moneydance. He said the company is gearing up to release MoneyBot, an in-app browser that can interact with any bank in the world that has an online presence. While its current bank interfacing mechanism engages institutions on the backend and is mostly limited to banks in the U.S., MoneyBot will essentially serve as a proxy for customers, allowing them to access and interact with their bank accounts in Moneydance.